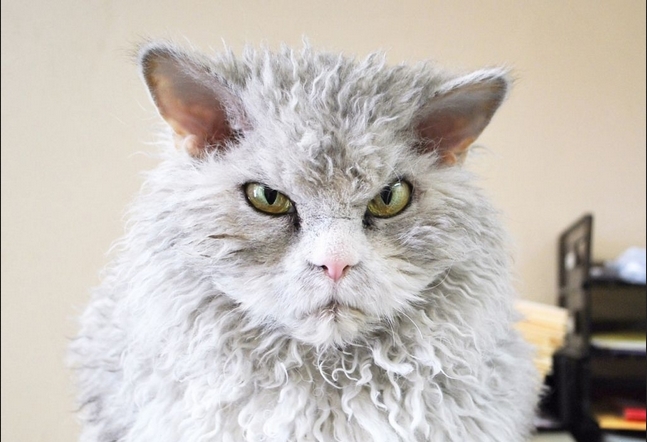 We all know and love Grumpy Cat, and even in recent months his grumpier rival, Garfi the Persian. 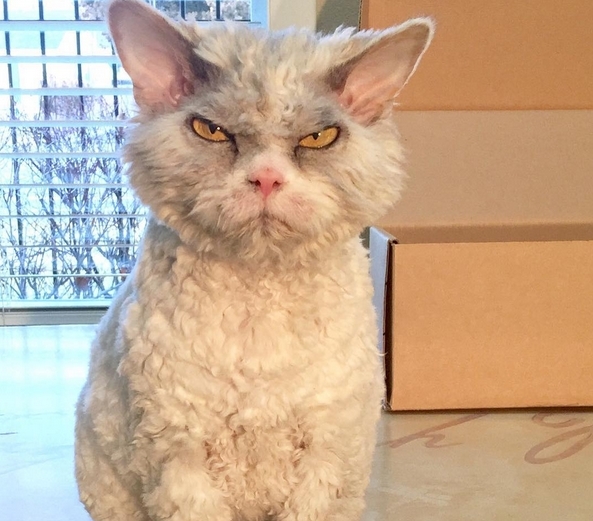 But those two can step aside - Pompous Albert is the latest cat making waves online and has racked up tens-of-thousands of Instagram fans thanks to his angry face and unique coat. 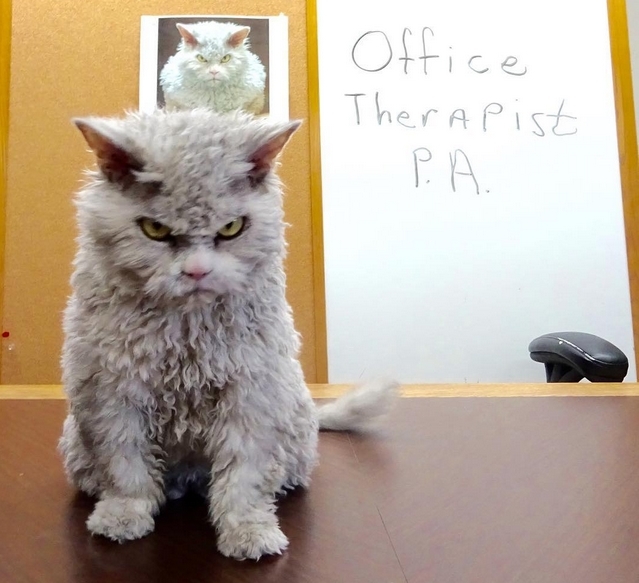 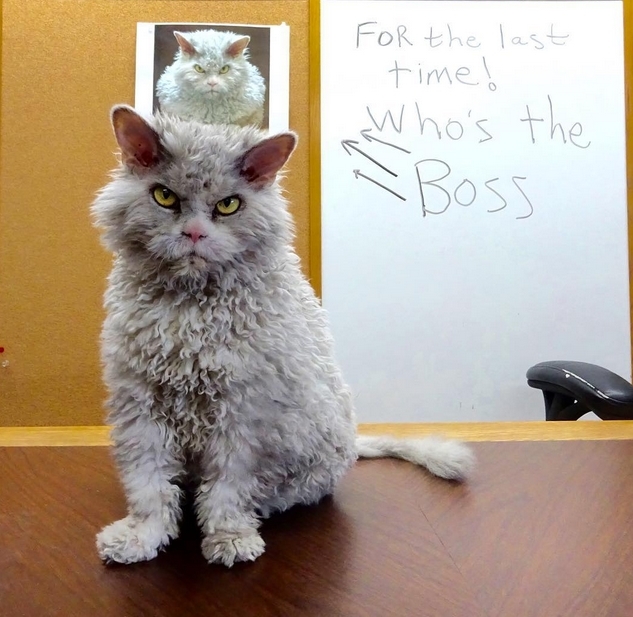 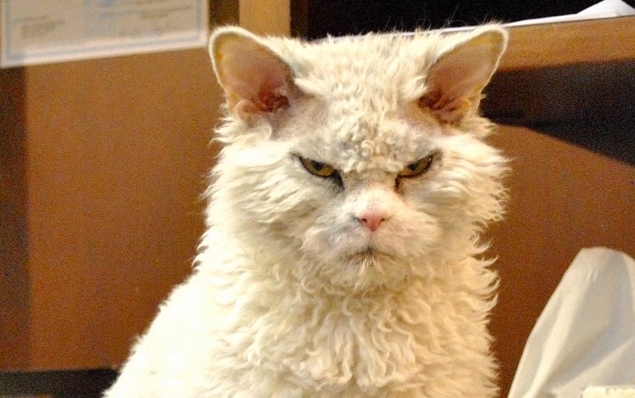 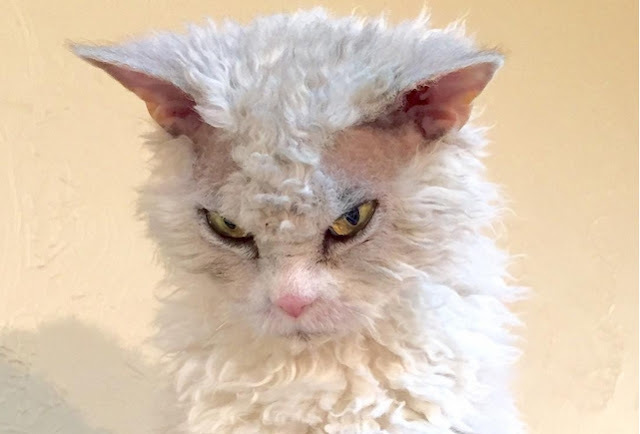 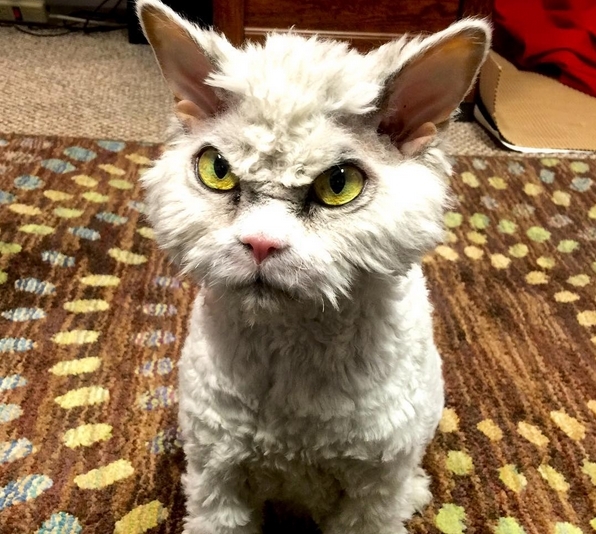 Albert is a Selkirk rex, a breed of cat known for its wild, tufty fur and along with his distinctive frown, he has an aura of evil leader about him. 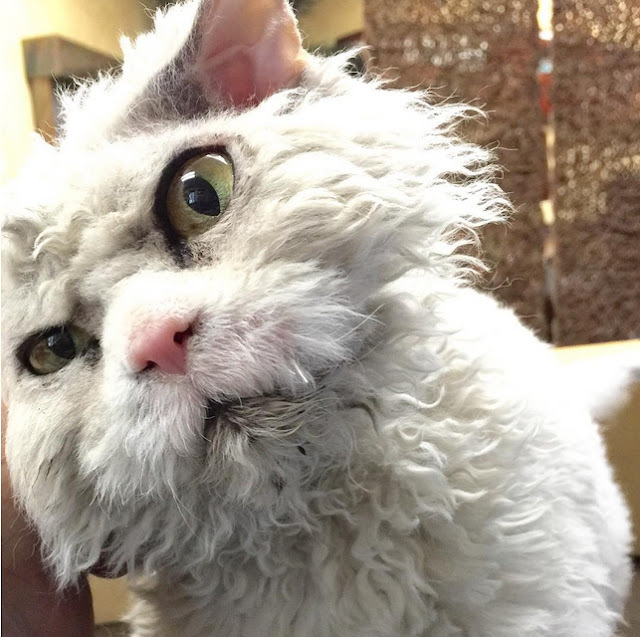 Albert, who lives in in Salt Lake City in the US, was named after Einstein the famous physicist, who was known for his wild, grey hair. 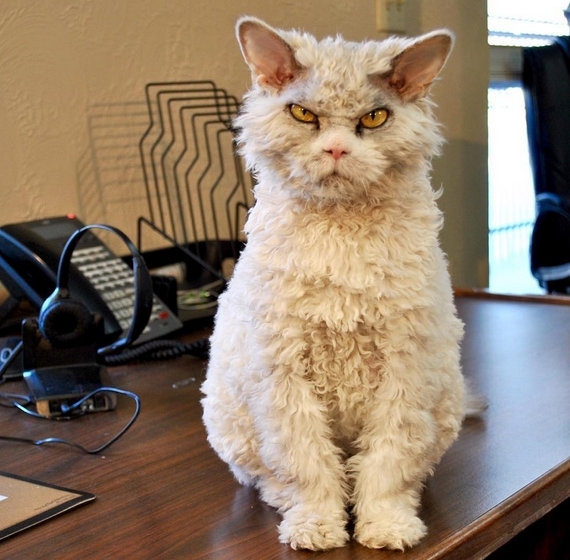 The seven-year-old cat spends much of life at the Sagebrush Fine Art gallery with owners Mike and Susan Singleton who snap him in the likes of drawers, on printers and just generally looking annoyed. 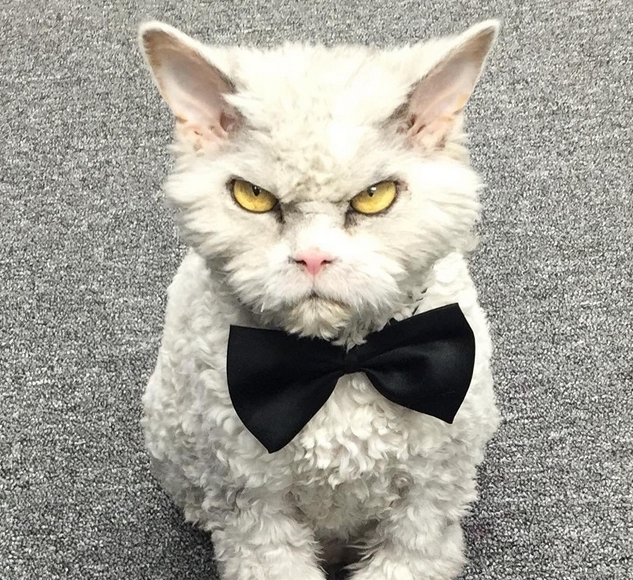 Mike and Susan took Albert under their wing after he was rejected as a show cat. 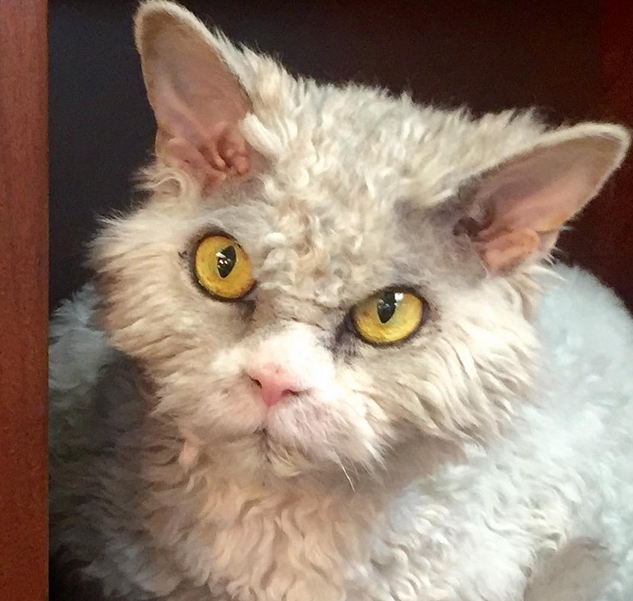 As Albert grows in popularity, Mike and Susan hope to make donations to local shelters from any money they make. 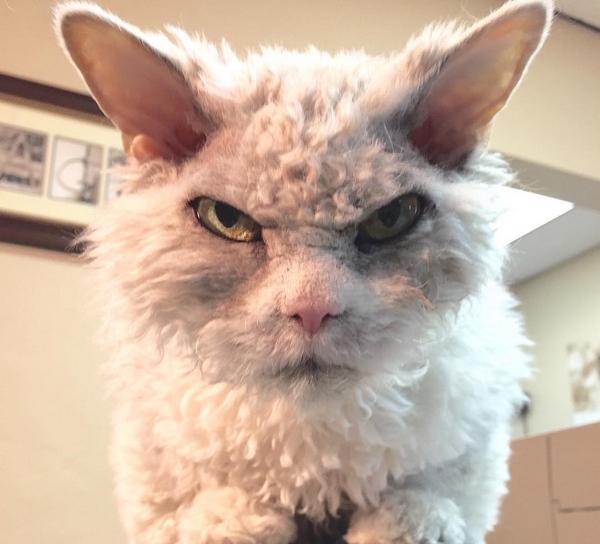 Responses to "Feline Furious: 'Pompous Albert' Is The Latest Angry Cat To Take The Internet By Storm"
it looks like sheep skin fur!